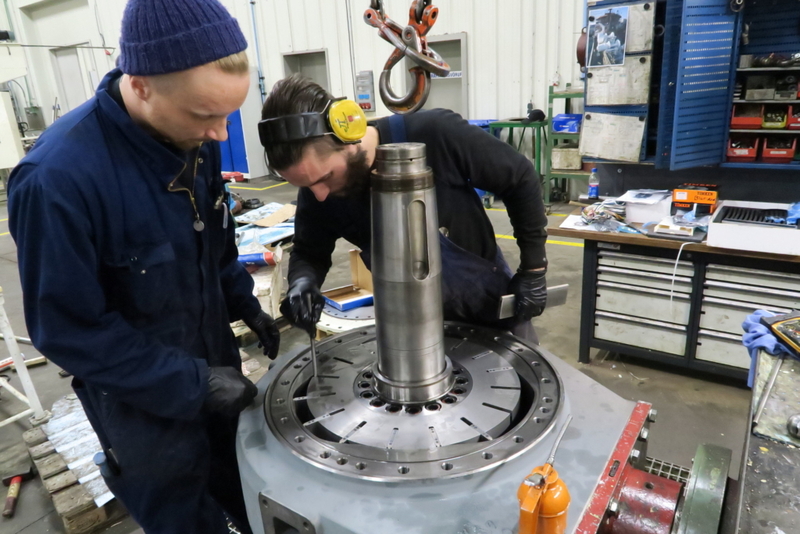 Hedinn‘s industrial services include engineering design, stainless and carbon steel fabrication, mechanical engineering, lathing and industrial construction for customers from all over. 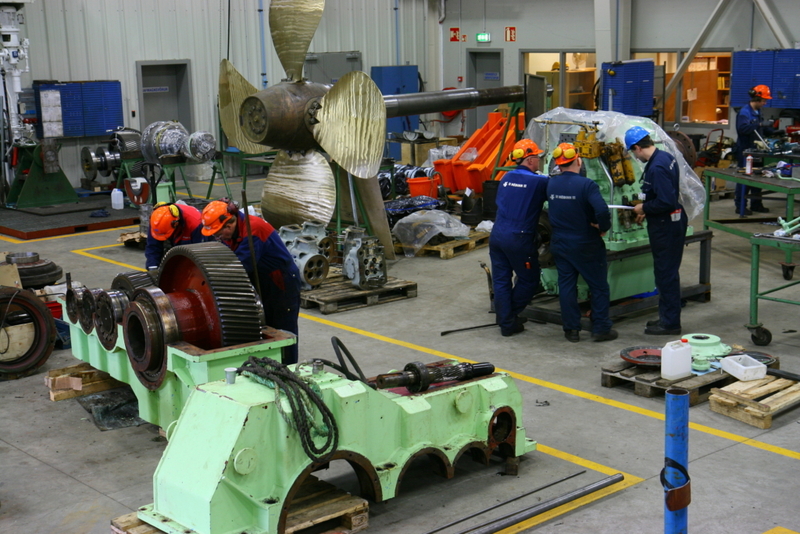 A highly skilled workforce, modern facilities and cutting-edge equipment enable Hedinn to stay at the forefront of this service category. 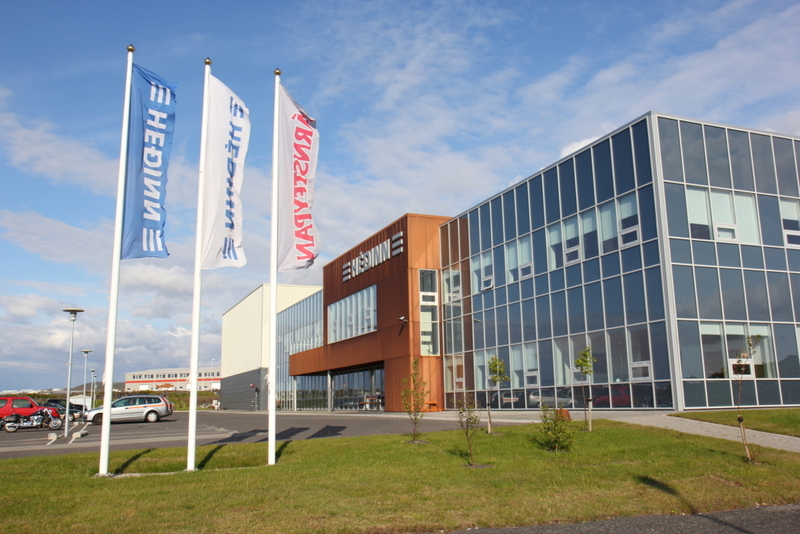 Hedinn’s headquarters span some 8,000 square meters at the industrial site in Hafnarfjordur town. 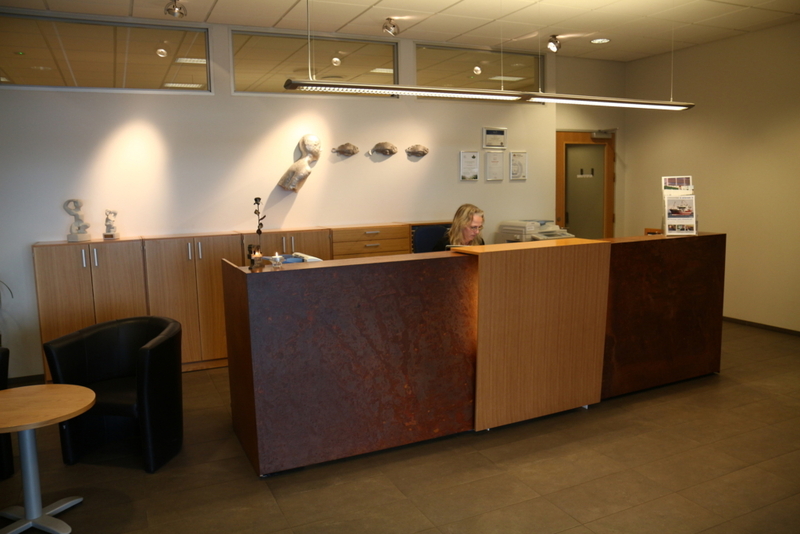 The reception area at Hedinn’s headquarters. 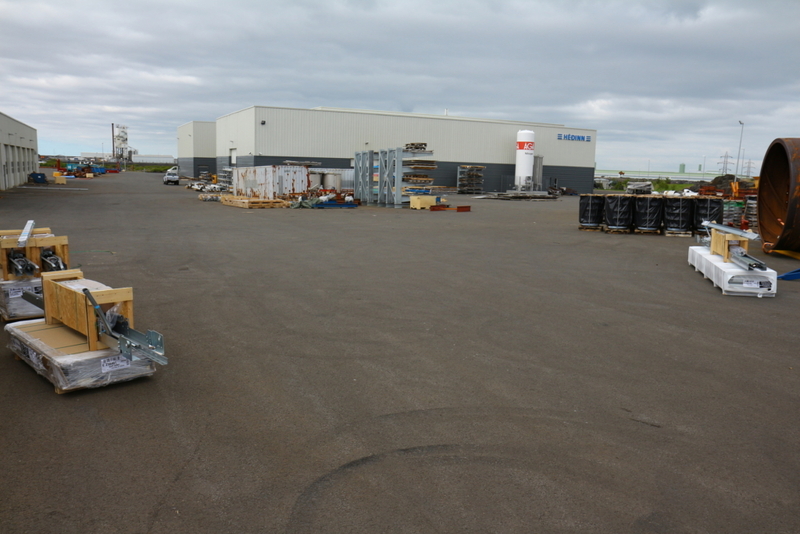 The 22,000 square meter lot allows for a flexible operation. 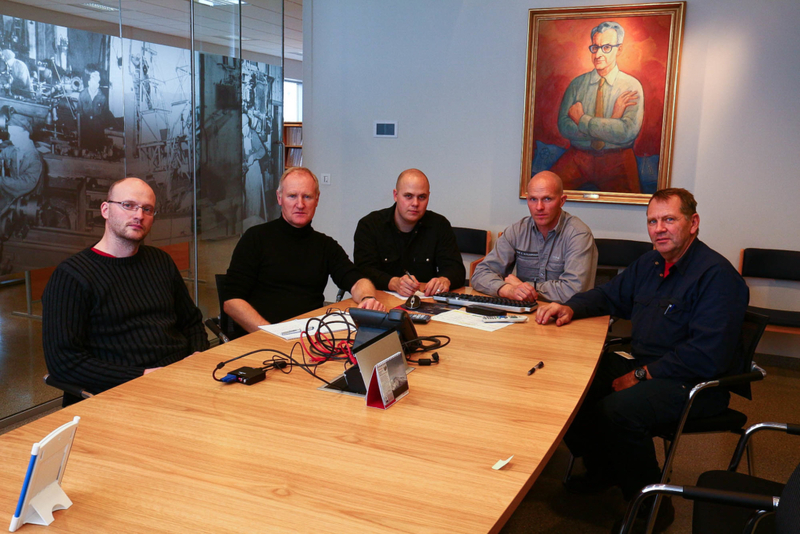 One of the meeting rooms at Hedinn. 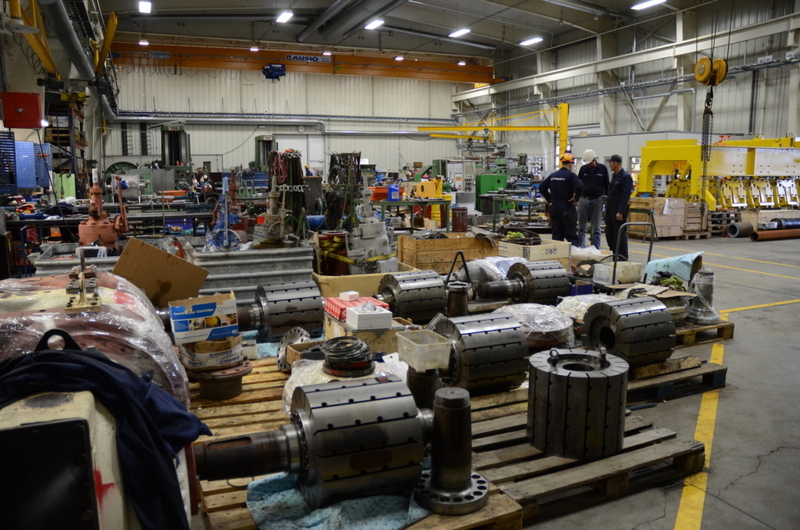 Busy day at the Mechanical Department. 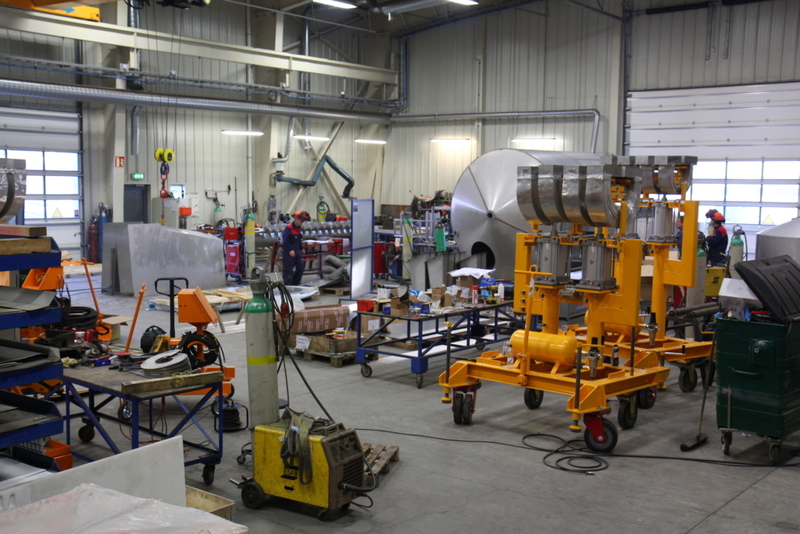 One part of the Mechanical Department’s facilities. 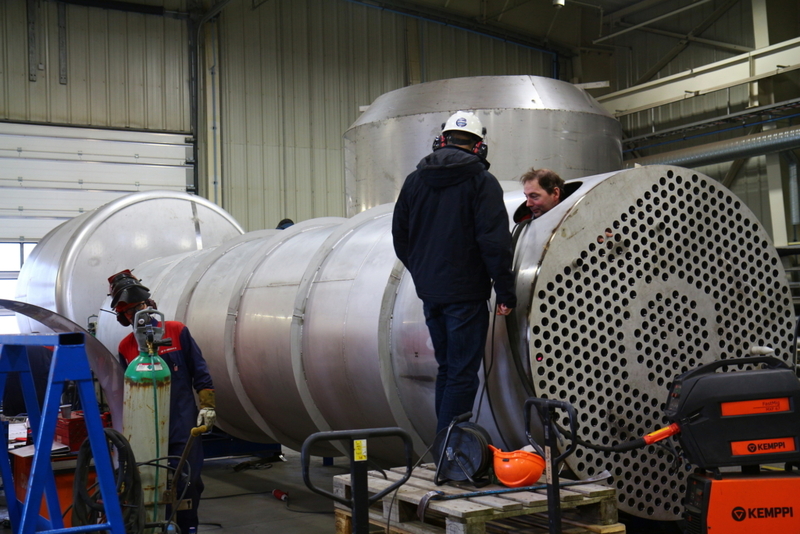 Overlooking a part of the stainless steel fabrication facilities. 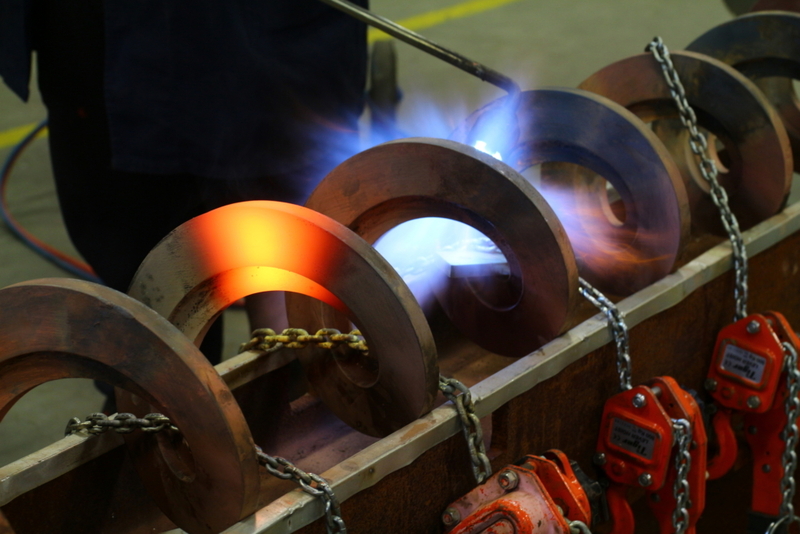 Making of a stainless steel component for a fish meal plant. 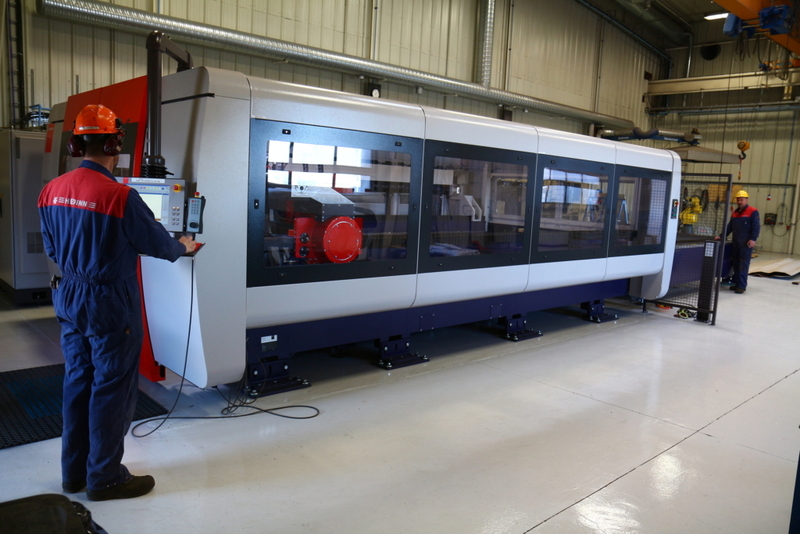 Hedinn’s Bystronic BySprint Pro 4020 is the largest laser cutting unit in use in Iceland. 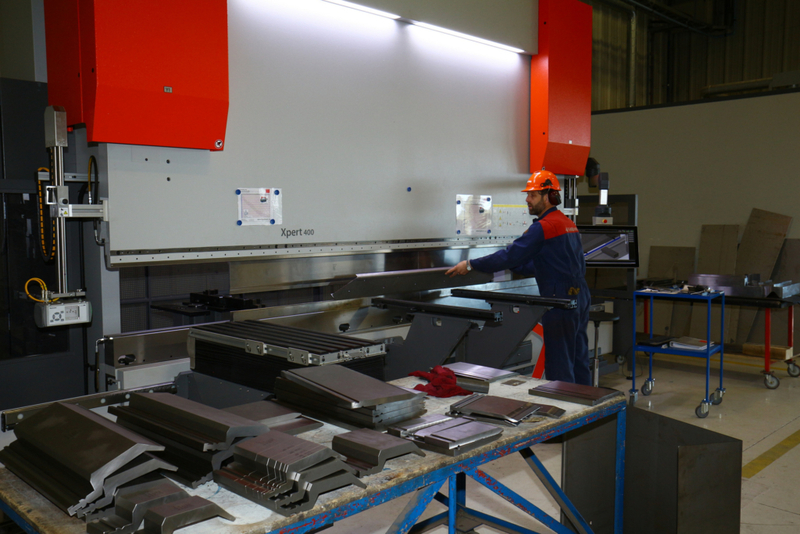 The Bystronic Xpert 400 bending unit operates in conjunction with the Bystronic laser. 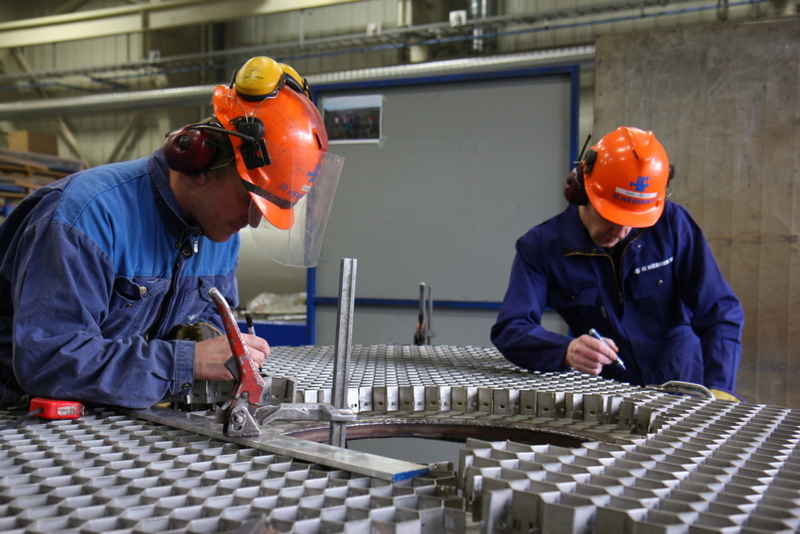 Precision work on a stainless steel honeycomb. 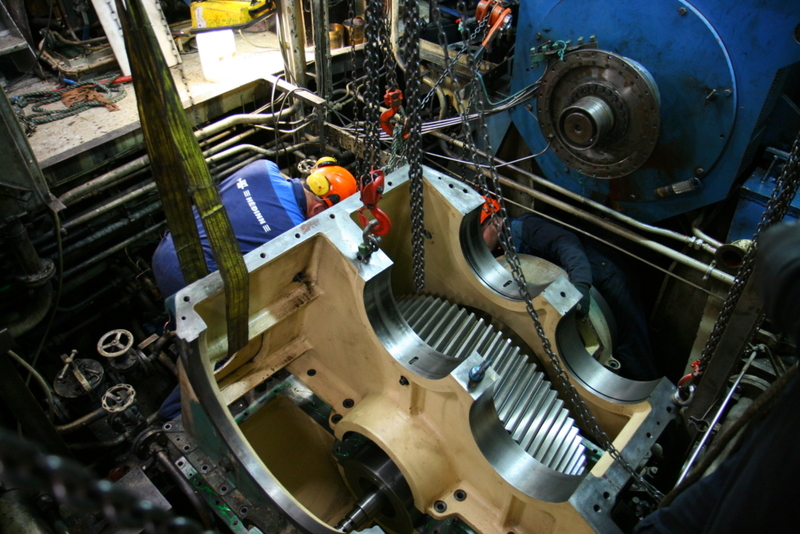 A screw conveyor in the making, a complex process that requires skill and experience. 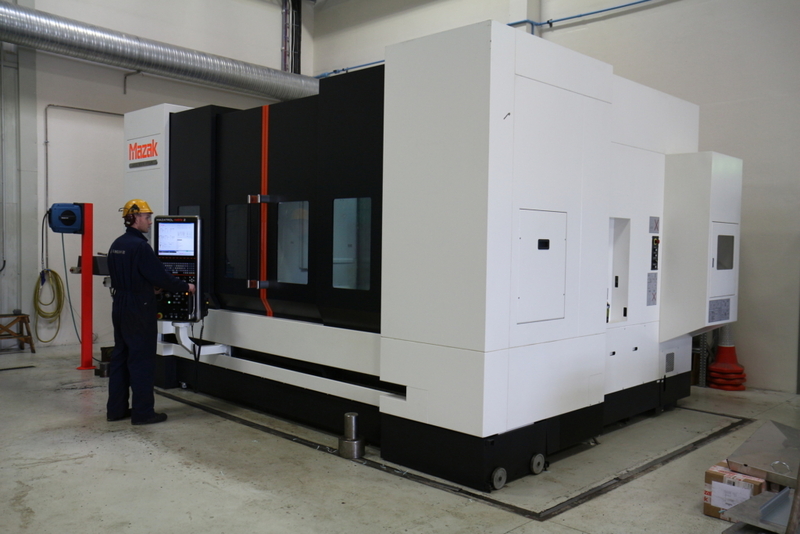 Hedinn’s lathing department operates two identical Mazak VTC 800/30SR 5-axis cutting centres. 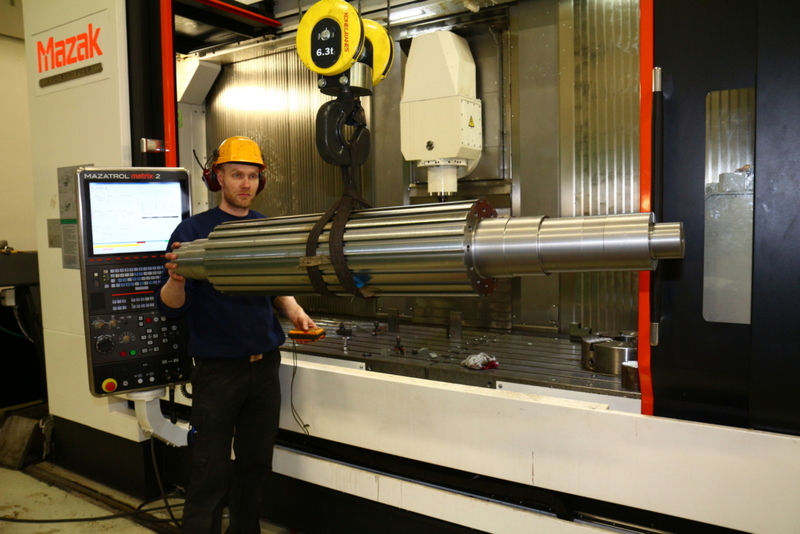 The Mazak machines are capable of very complex milling with great precision. 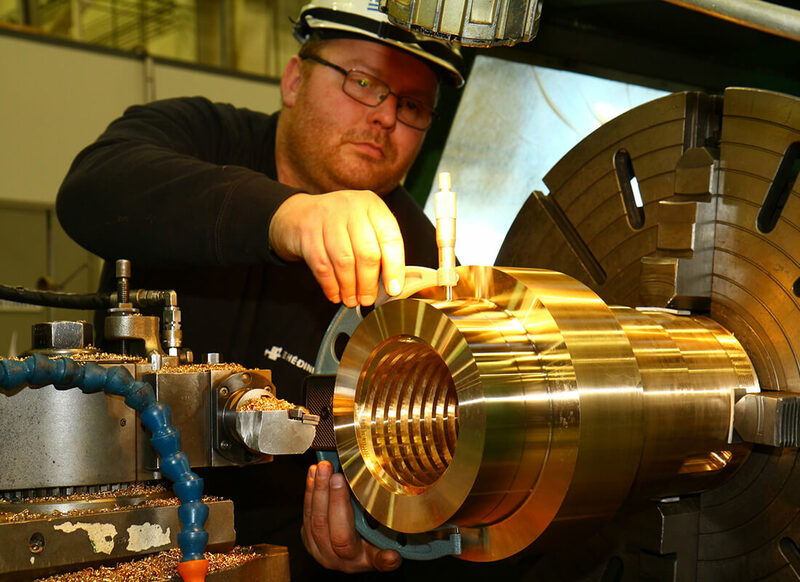 The lathing department has no problem taking on daunting tasks like this one. 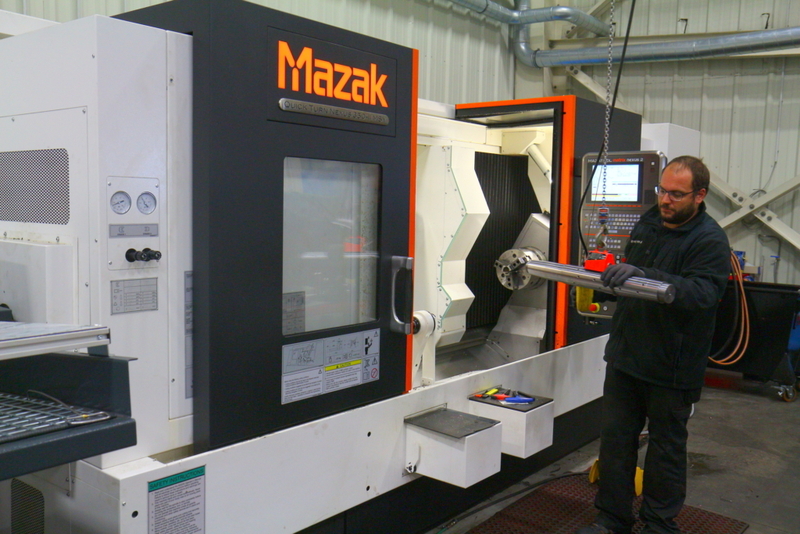 This Mazak Quick Turn Nexus is the latest addition to Hedinn’s arsenal of cutting-edge lathing machinery.